I know I haven't posted forever!!!!!!!!!!!!!!! I just put up the laundry room reveal and then disappeared! Not really, but it seems that way. and then a weeks worth of relatives visiting from Arizona for my sweet niece's wedding!! All of which was soooo much fun but literally captured ALL my time!! I have just a few days and then all the kids go back to school. Now that my laundry room is done, I love being in there, partly because it is so pretty but more because it functions so well. And with a family of 8, laundry is a big deal!! Today I just wanted to share my laundry tips. Let me just walk you through how we do laundry each week. 1. 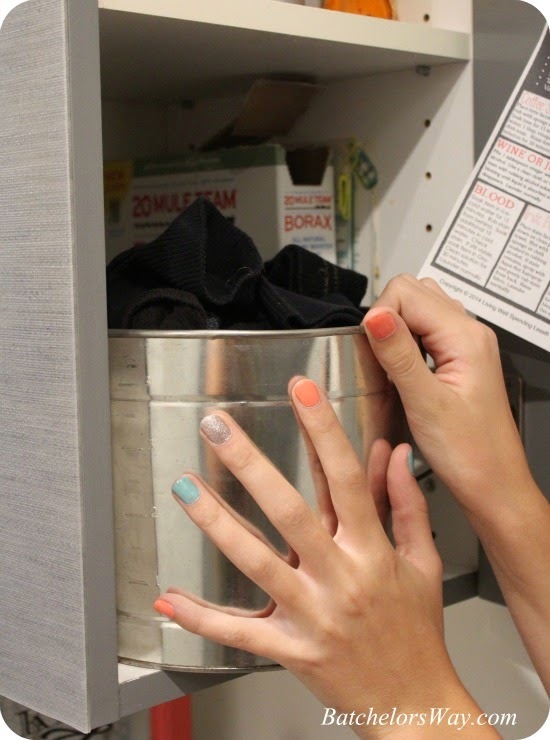 We have dirty clothes bins in every one's rooms. Everyone is required to bring them to the laundry room and unload their dirty clothes every Friday (Chore day). Each person is responsible for dividing their dirty laundry according to the bins: Whites, Reds, Darks, Jeans, Towels, Hand Washables or delicates. Before they take their basket back to their room they spray it with disinfectant to help keep the stinky germs in check. 2. 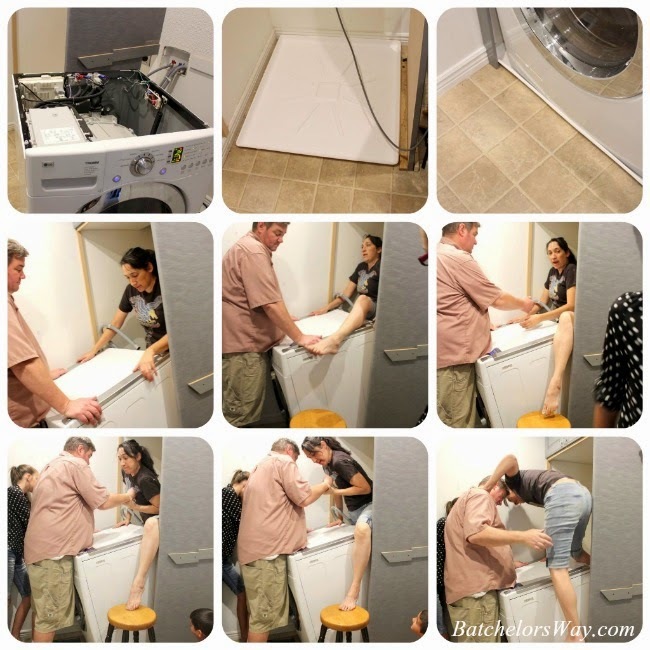 Install a drip pan and or drain under your machine! After our laundry room was about 90% complete we had a small leak! We had talked about putting in a drain on the floor but got into too big of a hurry and just rushed onto the pretty and fun stuff. So we were able to see first hand just how hard or easy it was to pull the machines out. I must say it was not as bad as I though it was going to be. Once the machines were out we seized this chance to install a drip pan and a drain. If you can't install a drain at least install a drip pan!!!. 3. 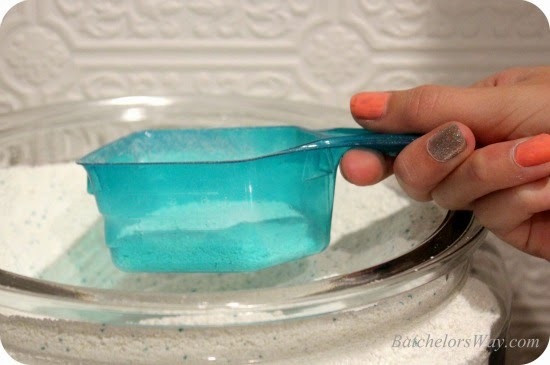 Use the right amount of soap! I have front loaders and need to use High Efficiency (HE) laundry soap, but not all HE soaps are created equal. I found this out the hard way. I bought a different brand that made more suds and came out the overflow in the back of my machine!! Luckily it was while we already had the machine out fixing it!! Now I measure 1/4 cup each time. Too much or too sudsy and you may regret it!! 4. I drop the clean dry clothes on to the folding table. Having a folding table is key. I try to fold the clothes right as they come out of the dryer, but sometimes this doesn't happen. The folding table is a clean place to hold the clothes until I get back to them. 5. I color code my families laundry and hangers. I have assigned every member of my family a color. I use permanent markers in each family members clothing to mark the label. That way I don't have to remember who's is who's and any one can fold the clothes and get them into the proper basket. As I fold I hang anything that needs to be hung right there in the laundry room on each person's colored hanger. They are then responsible to grab their color of hangers and put them into their closets. I also required each person to bring back their extra hangers, so I always have a stash. 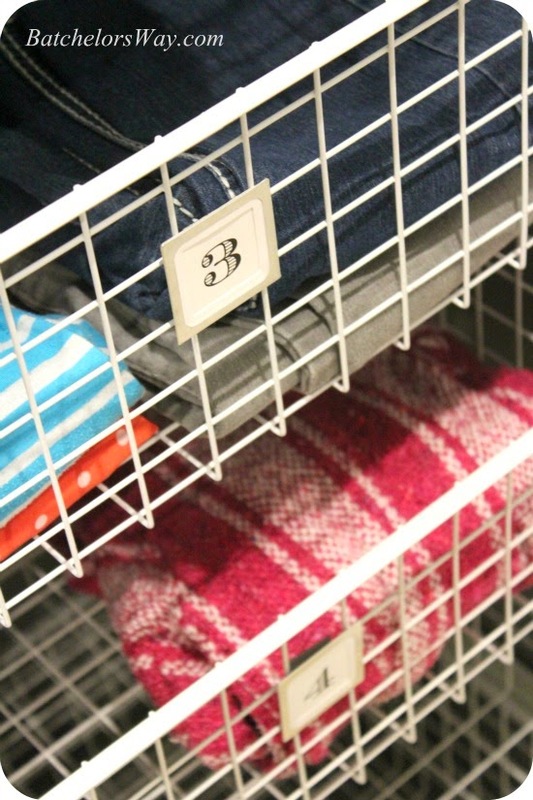 This helps us be more organized and my kids rooms to be more clean. 6. 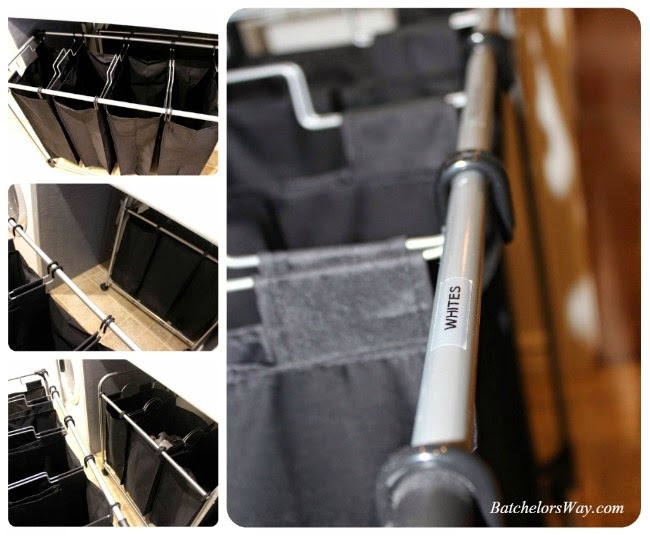 I fold the clean clothes and drop them right into the clean clothes baskets. Each bedroom has a basket once a day family members need to collect their clean clothes and put them away in their rooms and return their empty clean clothes basket to the laundry room. 7. I keep a small bucket in the cupboard closest above the folding counter for odd socks. I don't like to clutter up the counter, but I do need to keep odd socks for a while. Don't know about you but my kids often turn in one sock to the laundry while it's mate lounges between the couch cushions for a week or two. It's a sad and lonely separation, but a joyous reunion. 8. Last of all I do the delicates and hand washables. My machine has settings for these, so I wash most things with the machine and then put them on my sweater drying racks. These items stay there until they are dry and then I just pop them into their clean clothes basket. We debated about putting a small fan on the back of this box. We opted not to. But after using it for a while now I have determined we need more air circulating and will be adding that soon, so stay tuned. 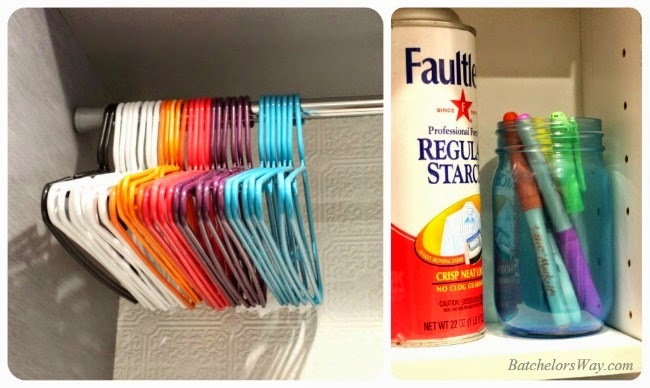 I love the idea of having color coded hangers and marking all their tags on their clothes!! I can't tell you how often I have kids fighting that the other is wearing their clothes just because it got put into the wrong basket. I love the idea! 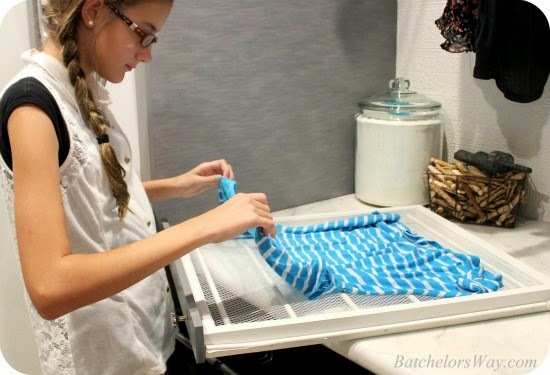 I also love the look and functionality of your whole laundry room. Thanks for sharing!!! I have a question for you... I have cement walls down in my laundry room and I want to do something to them, but I don't want to sheetrock or spend an arm and a leg on them. Is their an alternative, other than just painting, I could do? thanks! 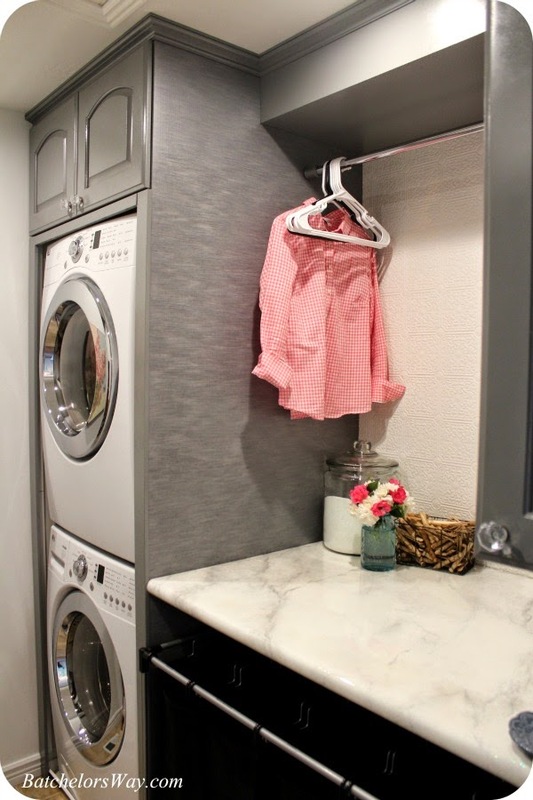 Love this laundry room! I'm originally from across the Mississippi in Fort Madison, IA! 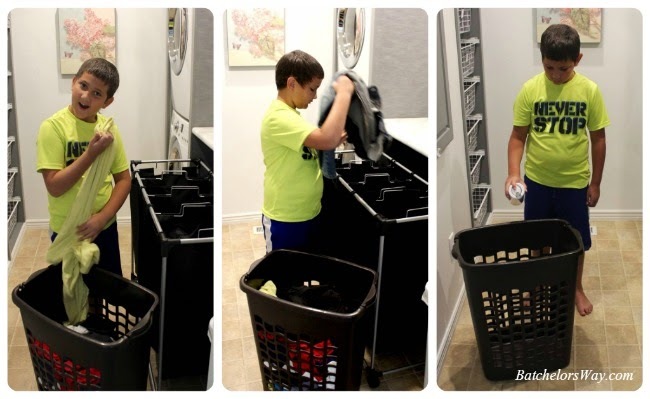 We are looking to organize and declutter our laundry room so it's more functional, too, and I'm so glad I happened upon this blog. Can you tell me the dimensions of your room? Also, we are looking at potentially stacking our washer/dryer, but I'm only 5'3" and concerned I won't be able to reach the dryer controls. Are your machines LG, and how do you like them being stacked now that it's done?